We arrived this morning to find a number of cakes left out for us to eat with our early morning drink: chocolate, coffee and Christmas cake. The challenge was to not let Archie (a volunteer's dog) eat them as he was looking to sample all of them for us. Once we had our drink we then went out to give the wolves some treats, namely small bitesize meatballs although there was an ulterior motive on our part. The balls contained worming tablets. It is always important to make sure all the wolves have their correct dose and to make sure that no one like Pukak eats double the dose. 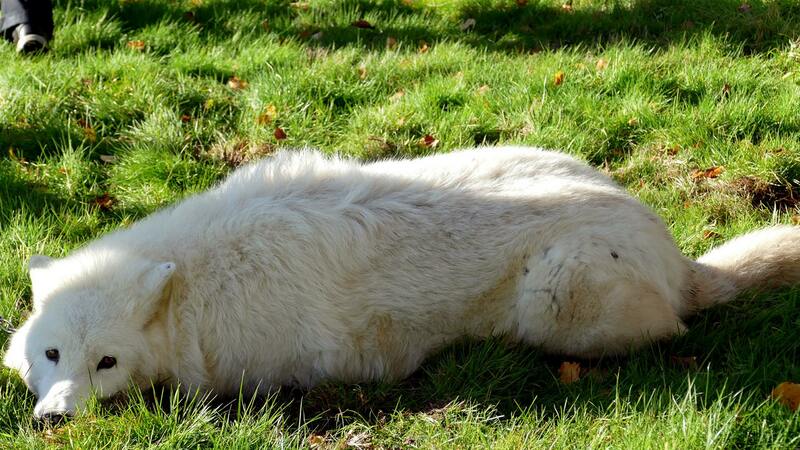 As we approached the Beenham enclosure Nuka was beside himself with excitement running up and down the enclosure with all his fur standing up. Once the treats were had it was off on our first walk. Nuka, Tala and Tundra were all keen and I am pleased to say that after the awful weather the day before the weather was very pleasant. We made it a very long walk today and did not stop for any photo stops. We were aware that bad weather was forecast for one o’clock. 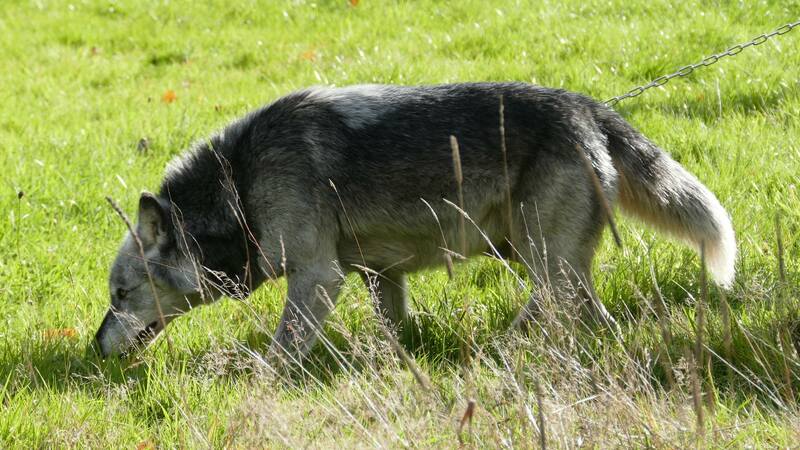 As they often do the wolves were keen this morning to walk along with their tongue dragging on the grass. They do this often when the grass is wet. When we reached the trough, it was frozen over. We broke the ice up and Pat took the opportunity to give the wolves an ice rub. You can see from the picture that this is something they love. After a quick refreshment and more cake we took Mai out for a walk. Mai is the most surprising to me as her outlook on walks has changed completely since we closed. It's odd as she was not doing public walks anyway but only coming out with a few of the old time handlers who have been around her since she was small. Previously Motomo would try and block her going out and she often would decide to stay with him rather than go for a walk. Nowadays she always seem keen and Motomo does not appear to try and stop her at all. Her lead is kept in a different place to the others and if you go to the place where it is and pick it up she immediately reacts. She runs to the bed block and stands by the gate. Motomo steps back and watches. Once the gate is open she is straight through and appears much more confident. Thinking back to the days when Mai did the wood walks she was always the least confident out of Mosi Torak and herself so maybe it is not that surprising. The Mai walk took a different route as she has recently cut her foot and we wanted to ensure she was walking on grass. We also did not want to take her to far away from the trust in case she suddenly needed to go back. No such issues today and she had long walk pulling like train on the last bit as she is always keen to get back to Motomo. Whist we were out on the walk Tsa the Director appeared with some jugs of mulled wine. 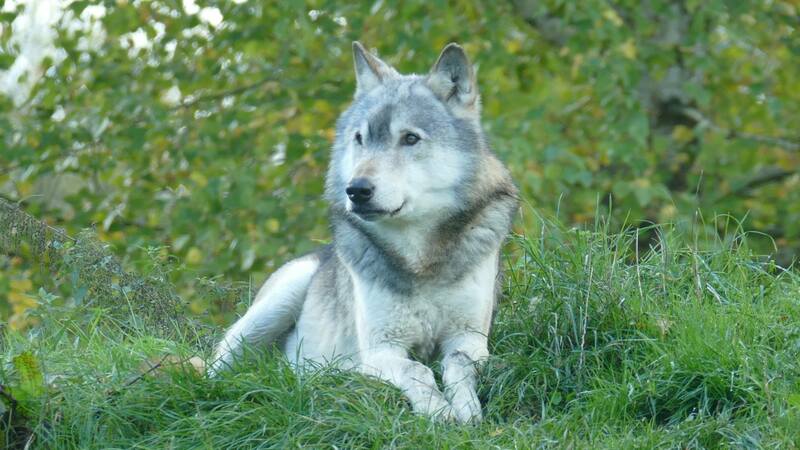 This is a thank you for the work we put in looking after the wolves. Sadly as we all have to drive home we could not drink it straight away but we rummaged through the bins and washed out some old plastic bottles. We then took the wine home for a drink later on in the evening. A very nice day for us all. 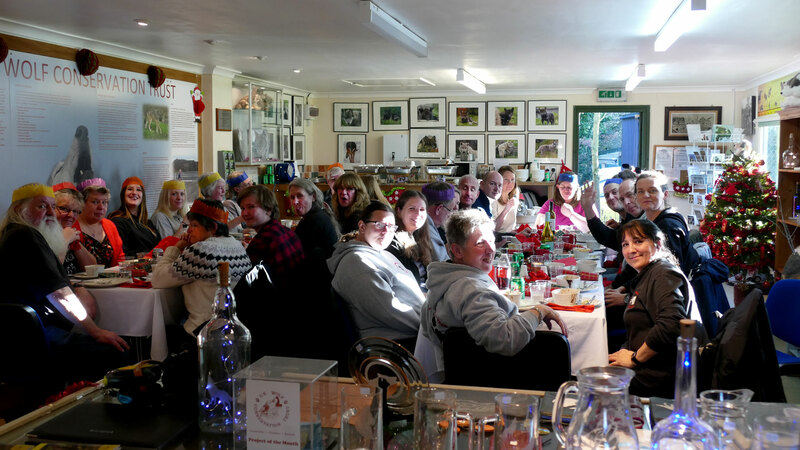 We all got going early today as we were having our Xmas lunch after the walks. 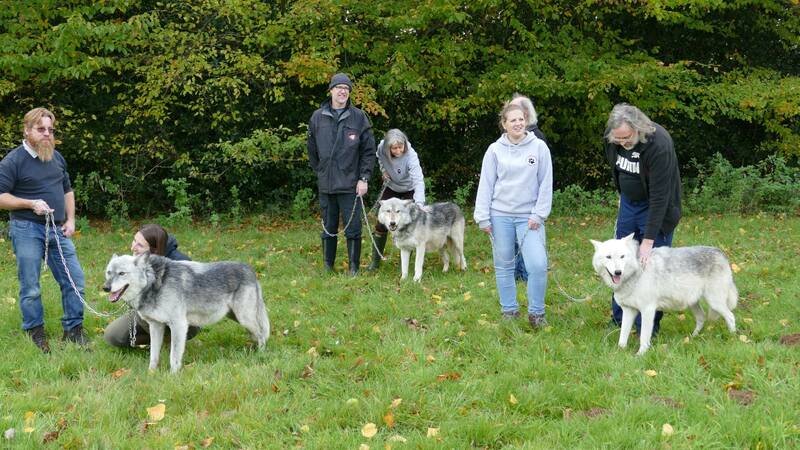 First out were the Beenhams, Nuka, Tala and Tundra. All 3 were very keen and rushed on to the hard standing, with Tala jumping up and putting her muddy paws all over Craig's jacket [Craig is one of our senior handlers]. Those of us with short legs had to stretch them out to keep up once we got going. We were out by 10.30 so lots of smells were still hanging around from other animals roaming around the countryside during the night and the wolves appeared to not want to miss out on anything. The pace stayed quite rapid until the heavens opened and we all got thoroughly drenched. This is the point at which the wolves decide it's rather fun to just stand around and take a rain bath!! Then they shook themselves all over us, just to make sure every inch of us was wet too. 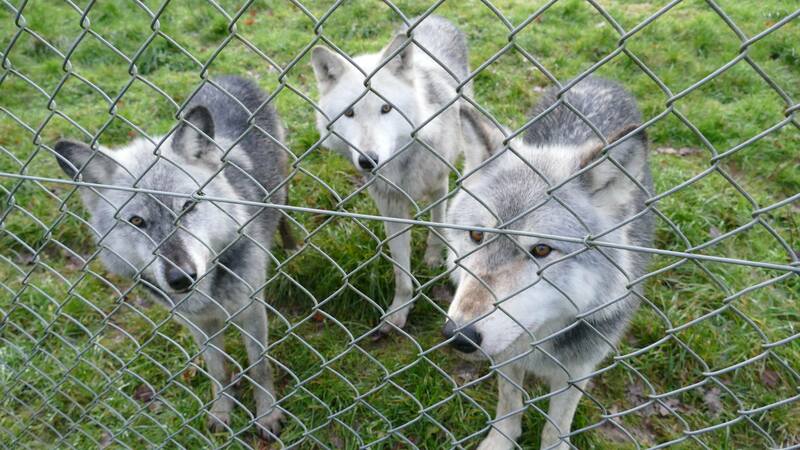 We got back to the enclosure with all 3 wolves very relaxed and happy. 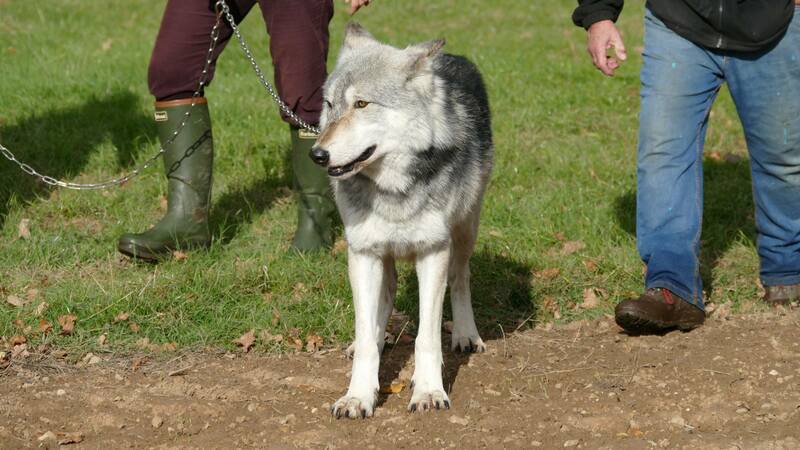 Torak and Mosi were next out but I stayed behind with a few other handlers to dry out a bit. As usual with Torak and Mosi they were very keen to get out and marched their handlers off around the fields. Mai also came out and it was great to see her on full power too. She did a lot of scenting on her walk, with her tail held high. All the other wolves were producing a great howling chorus. Mai stopped and spent some time facing the sound and listening. We thought she may decide to go back, but carried on and had quite a long walk for her. Mai makes it very clear when she wants to go back to Motomo! He has a bit of a limp at the moment due to a slight cut to his paw, but she didn't have any problem leaving him for her walk! Lots of other people had arrived by the time we got back to the observation room, where our Xmas dinner was being served up. It was great to see Lynn, Lesley and Fran, who used to work in the office as we haven't seen them since the end of August when we closed to the public. We all had a good catch up. Tsa turned up with wine and we had a massive Secret Santa sack we had all contributed to. Tsa handed out all the gifts, which included a number of very funny and also thoughtful gifts. The food was great and we all rolled out the door off home feeling very full and having had an excellent day. Update written by Eve. The first day of winter dawned wet and mild, but by the time the volunteers arrived at the wolf centre the rain had eased to a misty drizzle. The Beenhams were the first to come out for a walk and the wolves were keen to investigate all the scents around the fields. It was a generally relaxed walk, following the time-honoured route around the top field, then via the old goat stables to the lower field and the stream. The pond near the entrance to the Trust contained a tennis ball floating in the middle - and this didn't escape Nuka's attention! 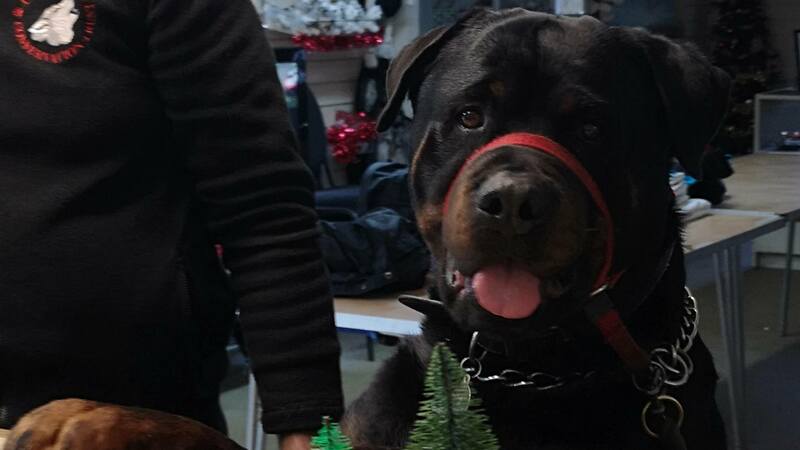 Nuka's always up for some fun, but the handlers kept him at bay as we don't really want him playing with random tennis balls. Following a good half-inch of rain overnight, the Bourne and the lower pond were both full. The wolves enjoyed a good paddle, but it was noticeable how they avoided wetting their belly fur. 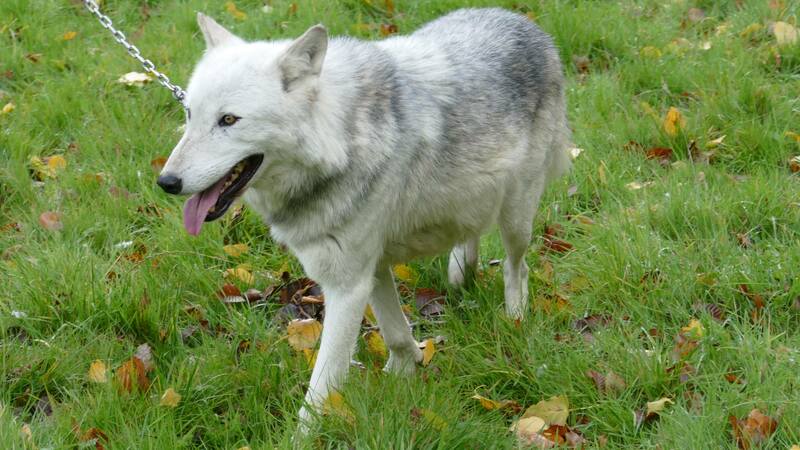 Tala managed to soak her tail in the pond and afterwards it looked for all the world like a giant paint brush! 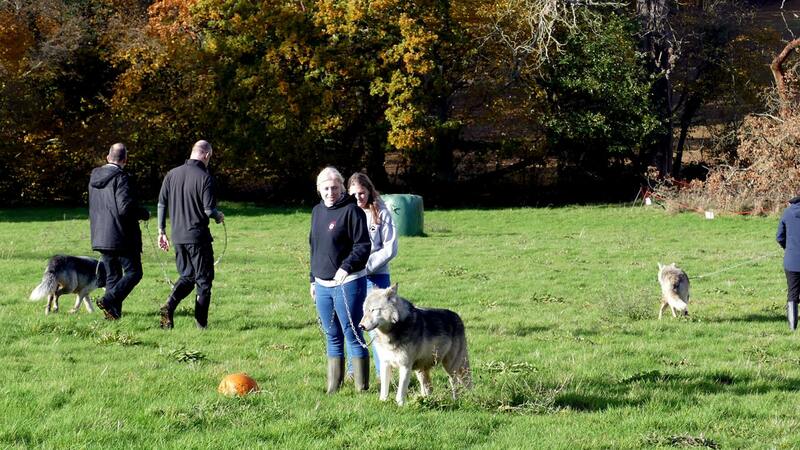 The wolves were then returned to their enclosure while the volunteers had their lunch. Afterwards, the seniors went to see if Mai wanted to come out. She's had a paw injury, but the antibiotics and painkillers have done a great job and she's pretty much back to normal. She did indeed fancy a walk and she powered her way around the top field. She may be coming up to thirteen years old, but she doesn't show it on her walks! She busily over-scented the Beenhams' trail, then decided she'd rather go back to Motomo. During the walk she howled and this time it was a deep, bassy howl which emerged from her. The final walk of the day was with Torak and Mosi. These two are always eager to come out and explore and, in Mosi's case, to over-write her sister's scent markings. Not content merely to do that, she left her mark, literally, by scraping vigorously with her paws, kicking up a shower of mud, grass and weeds high into the air behind her. Even if you're not handling her, you must keep your wits about you lest you end up with a faceful of plants! 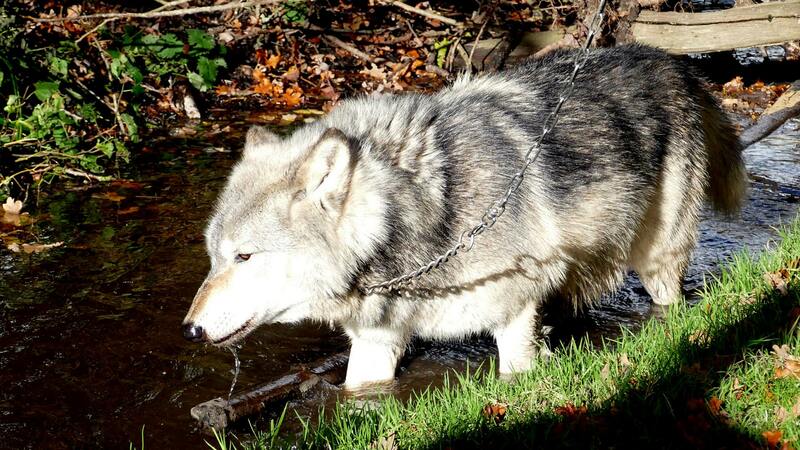 The two wolves also went down to the bottom pond and stream, but unlike the Beenhams they didn't go for a soak. 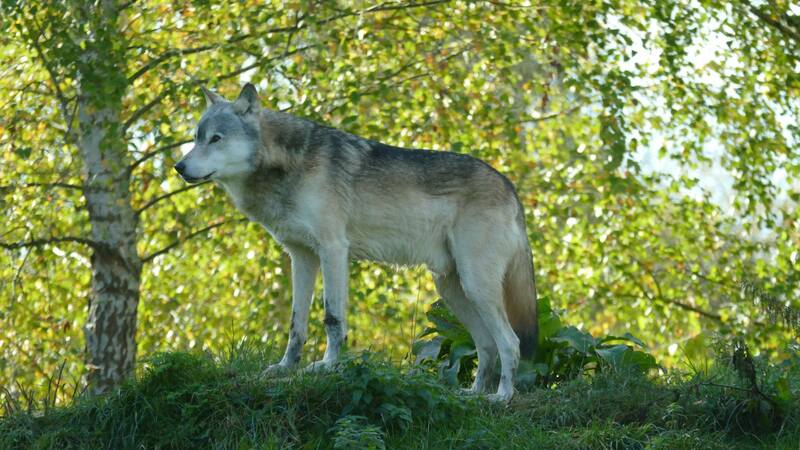 With walks completed, the wolves were fed as usual, with all of them being keen for their food this time. The kites circling above were generally out of luck, although that didn't stop a couple from folding their wings and diving headlong into the enclosures in search of scraps. As dusk loomed, there was just enough time to go in and socialise with the Beenhams. 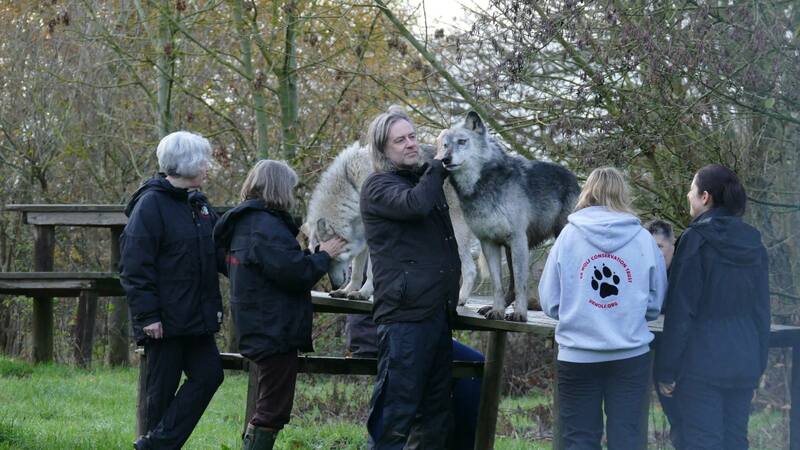 All of the wolves enjoyed a good fuss and, unlike recent weeks, Nuka stayed with the group throughout. He was keeping an eye out for some fun, though! With the light fading, the volunteers left the wolves and set off on their journeys home - another successful day. We all gathered in the Observation room and decided to mix it up a bit by taking Torak and Mosi out first, instead of the Arctics. We came out, having left a nice human trail for them to investigate once returning from their walk. 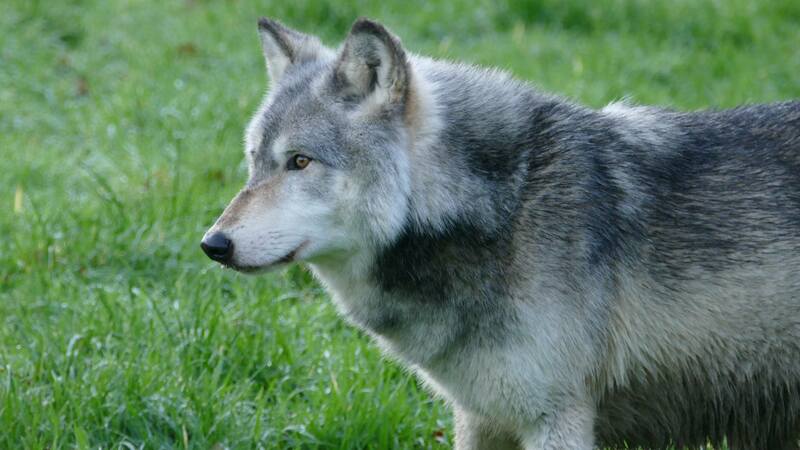 This is also enrichment for the wolves and we could see them sniffing around as if to say who has been in here? We prepared food for the wolves and the tortoises, who seemed particularly hungry, heading straight for the food bowl and munching on red peppers. The food shed got a thorough clean as well, so everyone else was tiptoeing around the food shed for the rest of the day, trying not to make it dirty again. We all sat around after their walk and had lunch. We can all get a bit carried away with our chit chat and realised we had better get a move on as due to shortened days, the light starts to fade early. Wolves get boisterous and more active at dusk, so we need to ensure they are in their enclosures and can be boisterous without us being involved! Nuka in particular does love to play bow and zoom about in his enclosure. It is very funny to watch but you don’t want to be clipped by him as he zooms past at 30 miles an hour! It’s fabulous to see hm so happy though. Going out later was also a new experience for Nuka, Tala and Tundra. They had a lot of smells to investigate by now. We had a good long walk with them and they were very keen, so all of us had to manage a fast pace to keep up. 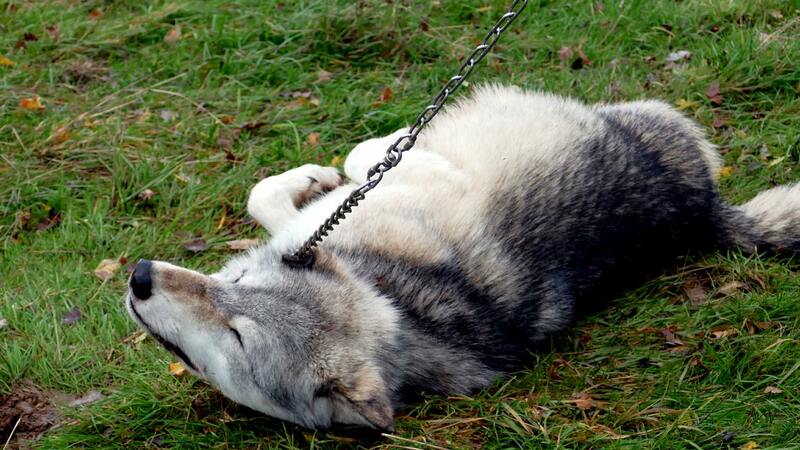 We can slow the wolves down by leaning back on the lead, but this is their walk so we have to match their pace! Everyone was quite tired after this so we all fed the wolves and watched them for a while. Mai is on rest at the moment as she has cut her paw. It isn’t serious and has improved a lot over the last few days, after medication prescribed but he vet earlier in the week. This means she’s been having ‘treats’ with the pills hidden in cheese and other yummy tid-bits. She wasn’t limping anymore, but it needs to heal. 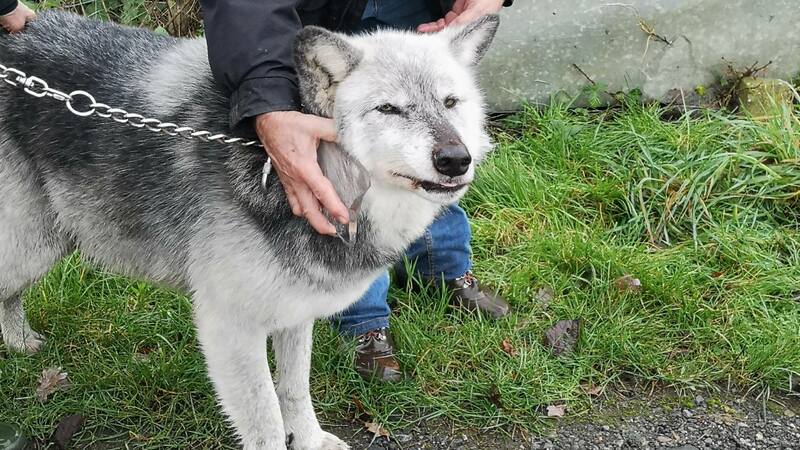 We suspect she’s been fence running with the Arctics again and when she does, it’s hard to believe she is an old lady wolf of 12 years old. I checked on the tortoises and had to top their food up. Sue had brought them an apple, so they had some of that as a treat and some more red pepper. We all said good bye and left the wolves to digest their dinner, all of us having had a great day with each other and the wolves. We began the day with an Arctic walk. They were very keen to come out and Pukak and Sikko came rushing out onto the hard standing, Massak taking his time a little more. Due to all the recent rain we have been having they are looking less white and more beige/brown at the moment. They shot off at a rapid pace, a lot less ambling now, which keeps the handlers much fitter. Today we had a number of other handlers joining the walk so it was a nice small group on the walk. Since retiring from walks with the public Massak has begun to take the lead much more as he no longer has to worry about ensuring everyone stays with the group (very much a high ranking wolf’s job which keeps them at the back of the pack to herd stragglers) however, today it was interesting to see that even a small group of volunteers will see a return of that behaviour. Sunday’s group ensured that he spent some time ‘rounding up’ people he felt were falling behind. Not only did they dictate the pace but also the route today, obviously after they had all put on their smelly diesel aftershave/perfume. We had some group rolling at a couple of spots of diesel; in fact Pukak did more of a ‘splat’ rather than a roll in an attempt to take ownership of the spot. Once they were ‘smellied up’ we shot off to continue the walk and investigate more yummy smells. I also handled Sikko today who only tried to wind the boys up a couple of times on the walk, she really is a little monkey and is always looking for the opportunity to get Pukak into trouble, but when Massak comes over to see what is going on she swiftly retreats to a safe distance and leaves the chaps to work it out. When returning to their enclosure Sikko attempted to ‘wind up’ the Beenham girls as she passed by their enclosure but was swiftly moved on. 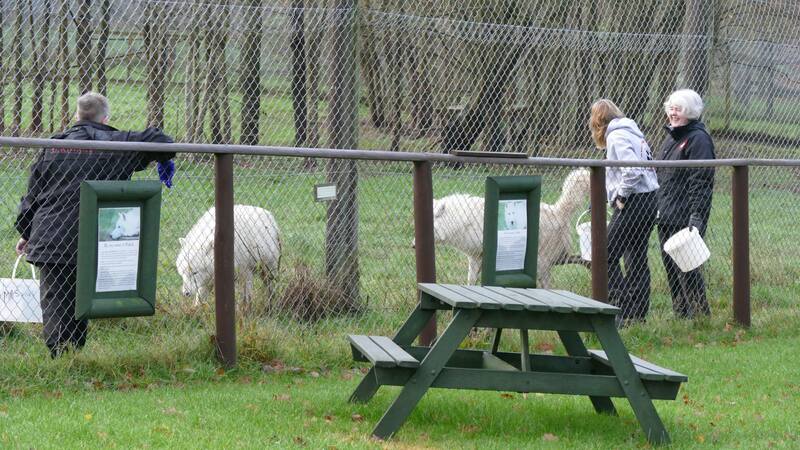 They really are enjoying their new enclosure and couldn’t wait to get back to ‘fence running’ with Mai and Motomo. 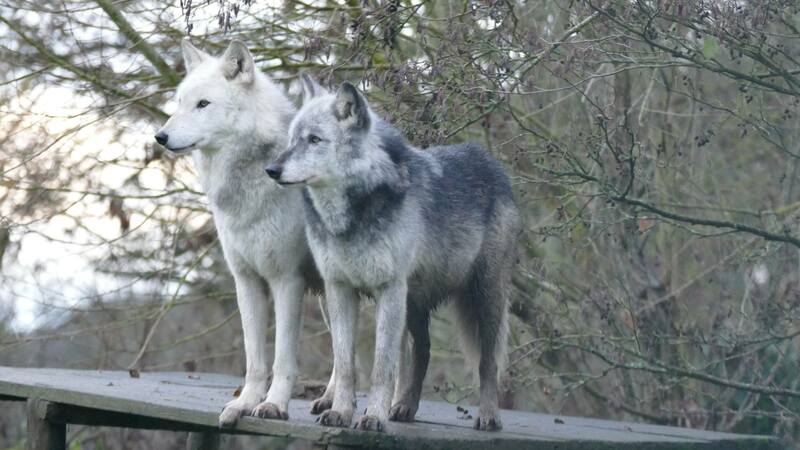 A quick coffee and comfort break while food was prepared (wolves and tortoises) and it was then the turn of Mosi and Torak to go out for their walk. A couple of us stayed behind to give the tortoises their enrichment walk. They love to eat clover and walk about on the grass and gravel (surprisingly). We all know that tortoises move slowly, at least we thought they did, but these guys will lull you into a false sense of security, munching on clover, and then off they go, usually heading for secret places we can’t reach them (under the portacabin being a favourite destination) so we have to keep our eyes on them to foil their escape plans. The Arctics keep a close eye on them as well and it is amusing to watch their expressions as the tortoises wander over to the barrier; it is a bit of enrichment for them too. Popping the tortoises back in their home ensuring they had enough food and that their water was fresh we said good night to them. Another quick comfort break and then it was Mai’s turn for a walk. She was quite eager to come and was very pleased to see everyone. 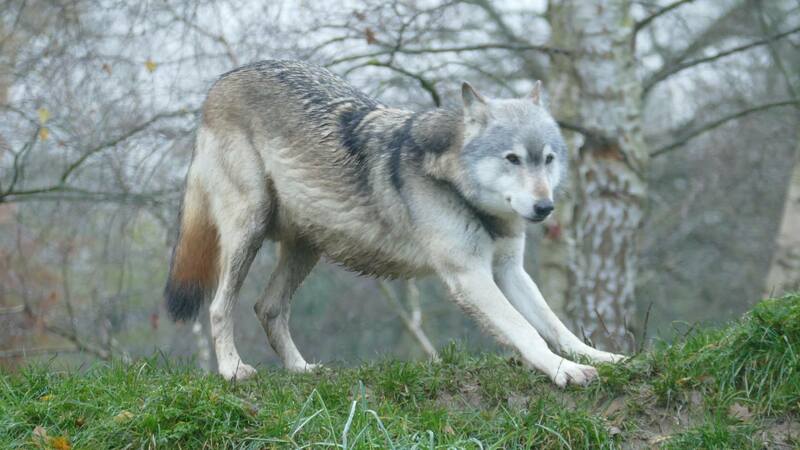 Like Mosi she rushes off which tests the fitness of her handlers as they work at keeping up with her. 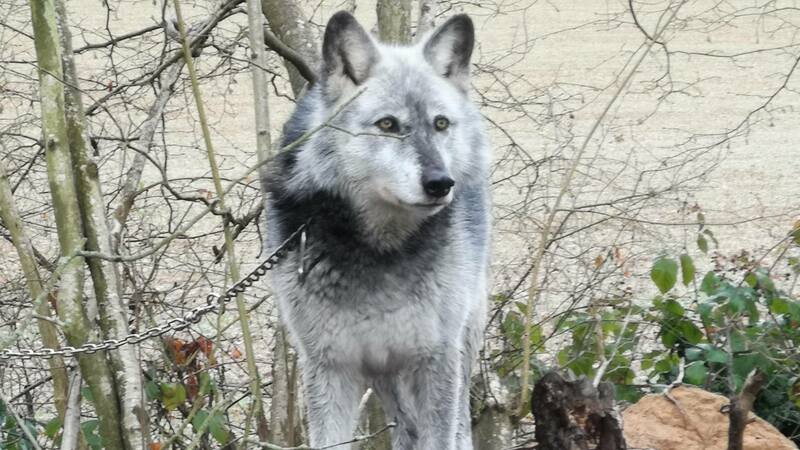 On cue, Motomo began to howl, setting off a wonderful chorus (it doesn’t matter how long I have worked at the Trust the sound of wolves howling is always very special and makes my soul sing). Mai didn’t look back; she was off with the rest of us trying to keep up. 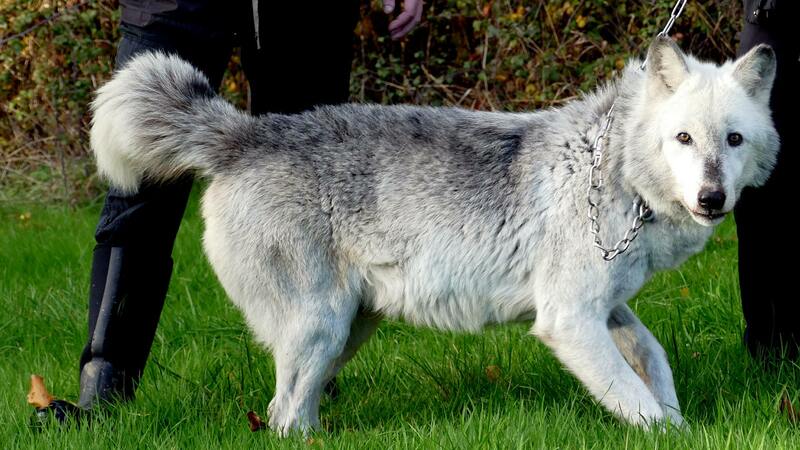 Mai really is a lovely wolf with the softest face and it was joyous to see her enjoying her walk. On her return Motomo was waiting for her but, as seems to be the norm now, she bypassed him and shot over to the fence to show off to the Arctics that she too was sporting some very interesting smells. Another coffee and a bit of late lunch (well actually biscuits – the handlers’ true weakness) and then off to walk the Beenhams. They were also raring to go and very excited to finally get to their walk. They said hello (sometimes a nice wet hello) to those handlers not currently walking them and off we all went. It is lovely to see how Tundra’s confidence has grown since retired from public walks, as much as we enjoyed having the public on walks, she is so much more relaxed and doesn’t bother to herd anyone now, not even other volunteers who don’t quite keep up with her. She strides ahead and there is the feeling that when handling her you are part of a race to get to the front of the group. 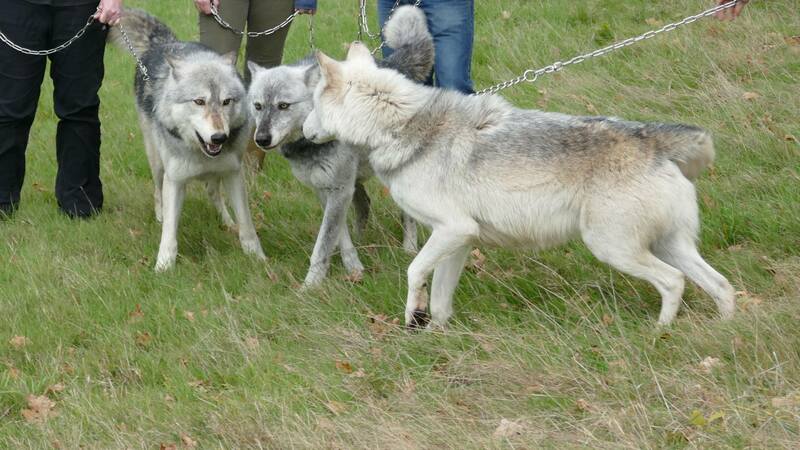 If Tala or Nuka are leading, she will speed up to ‘overtake’ and place herself in the lead position. The walk with the Beenhams is also less ambling than before – more power walking. But it is truly wonderful to see them rushing from one smell to the next, always alert and aware of any noise or movement. We returned them to their enclosure and watched them run over to the fence to check out what the Arctics had been doing while they were out and show off how really delicious they smelled. Now came the time all wolves wait for – dinner time. Interestingly most of them are not that hungry at the moment and left some of their dinner. We still weigh their food to keep an eye on how much they are eating. With the weather so mild and their winter coats all through now it seems that their appetites have lessened. 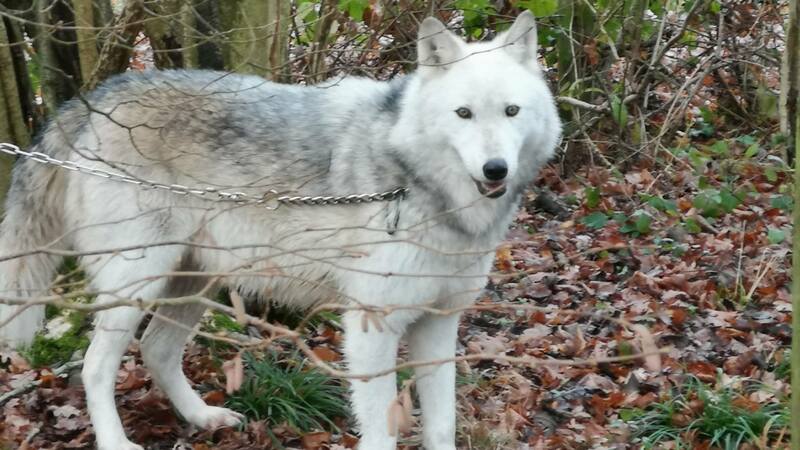 However, I fed the lovely Torak who didn’t seem affected by the mild weather and ate all his food, although, a little more refined in his consumption, not so much ‘wolfing’ it down, more paced mouthfuls. Today all the wolves had bones as enrichment so we threw them over and watched them sniff them before taking them off for later. As they had bones in the enclosures and dusk was imminent, we didn’t enter the Beenhams enclosure for enrichment so we said goodbye to them all and got into our cars. During the drive home I reflected on the fact that the weather had been kind and, as always, had a big smile on my face and a warm fuzzy feeling in my heart as a result of yet another wonderful day in the company of wolves. 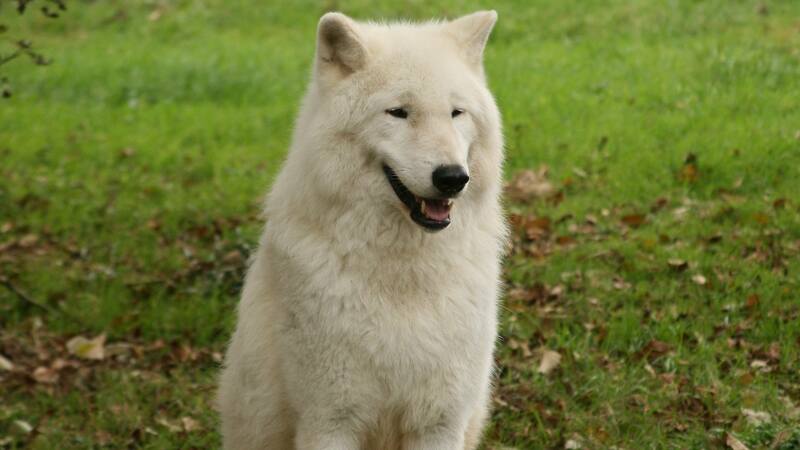 We started off the day with a walk with Torak and Mosi, who both appear to be thoroughly enjoying their walks. They certainly keep their handlers moving at a brisk pace! The local wildlife kept appearing too which certainly added extra interest for the wolves. Firstly, Torak spotted a deer up ahead who was then joined by a friend before bounding off across the fields. They clearly didn't want to stick around to meet Torak and Mosi up close! Once we reached the spot where the deer had originally appeared, Torak then came across a pheasant behind the gate. Unsurprisingly the pheasant was quick to make a speedy exit! We later encountered the same two deer again who this time fled to the safety of Tsa's garden. Next to appear was a hare fleeing from its hiding spot when the wolves had clearly got too close for comfort. We mixed up the route a bit differently today for them both which produced some puzzled faces at times, but the wolves are as quick as ever to catch on. Not only did this add to the enrichment of the walk but also added to the length, so that Torak and Mosi both got to enjoy an extra-long walk. It was the Beenhams' turn next and Nuka, Tala and Tundra all were clearly eager to come out, bounding along the fence to meet us when we went to collar them up. All three of them seemed to be on a mission and all the handlers had to walk at a fast pace to keep up! 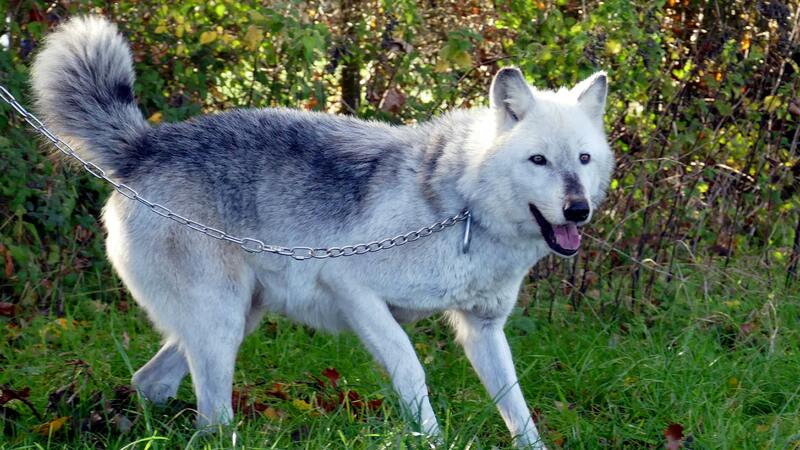 Tundra is most often to be seen leading the way nowadays, completely opposite to how she was on the public walks. 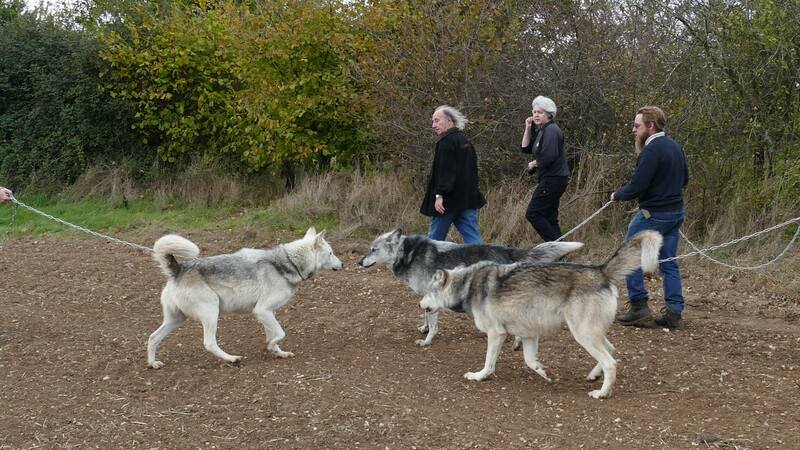 At one point, one of the handlers stayed back so that he could get some nice photos of the wolves when they walked back along. 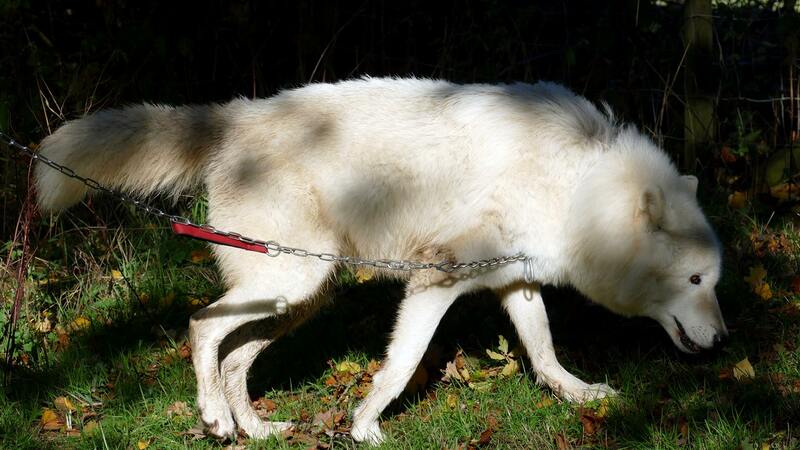 This left Tundra a little unsure at first as she couldn't see who it was from a distance but even then, she was leading the way with Nuka and Tala following closely behind. She's a lot more confident now that there's only people she knows on the walks. Again, we mixed up the route a bit different from normal, so things were kept interesting for them as well as providing them with a nice long walk. After lunch it was Mai's turn for a walk. This as always was accompanied by howling from Motomo awaiting her return. A full chorus of howling erupted on the walk as the others joined in but Mosi in particular could be heard. She didn't seem to be too impressed that her sister was out on a walk! Mai's walks are usually always much briefer than the others as she's always eager to get back to Motomo. We attempted to take her a different way to lengthen the walk, but Mai decided it was time to go home and she wanted to go back. Once home though, she isn't interested in going and seeing Motomo first. She was straight over to the Arctics to show off instead! We then all did some leaf litter collecting before enjoying going in and socialising with the Beenhams for a while. Nuka was happy with a quick, excited hello to everyone before running off to chill out under a tree. It seemed he wanted to keep an eye on the Arctics instead! 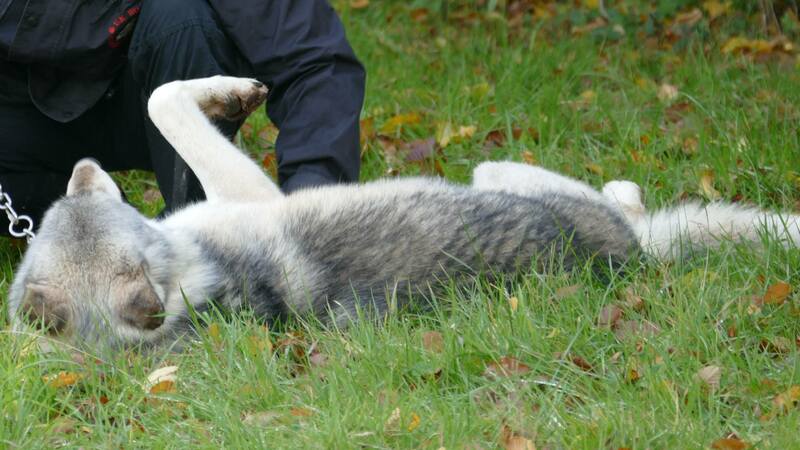 Tala and Tundra were happy to enjoy a fuss for much longer, with head rubs all around for the handlers. Next it was feeding time and after their normal dinner, they were then all treated to a pheasant each. We threw them over but most of the wolves didn't seem too interested as most of them weren't that hungry. 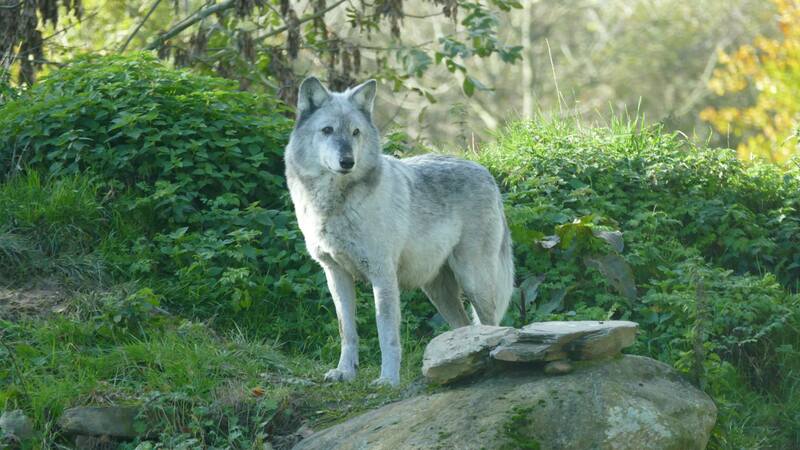 Torak though appeared more interested than most. He had pinched a bit of Mosi's dinner before when she wasn't looking and trotted off with it, disappearing to the back of the enclosure. When we called and threw the pheasants over, he reappeared, still holding the same bit of meat which came complete with a large clump of grass! He then quickly dropped the meat when he spotted the pheasant. After a few mouthfuls of feathers, he returned for his first bit of beef and then tried to carry that off along with one of the pheasants. It soon came apparent though that it was too much to carry. After another go at the pheasant and another mouth full of feathers, he went back again to the bit of meat and trotted off again. I'm sure all the wolves will enjoy their pheasants later on instead.